It’s easy to get blinkered by one style of machine, and most of us aren’t in a position to have a garage full of every style of bike. But don’t let that stop you enjoying the huge variety of motorcycles out there – buy carefully and you could have a mile-munching bagger one season, a sportsbike the next, before the fun of choosing what you fancy after that. 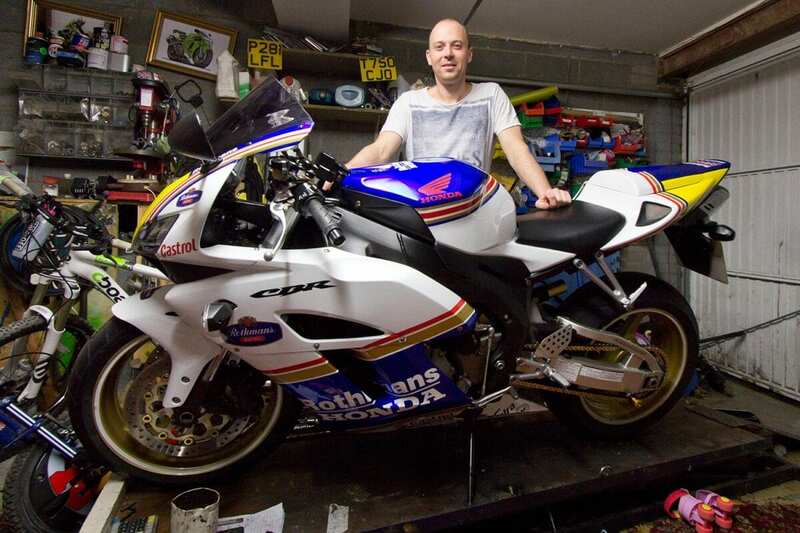 Ex-racer Mark Hardy has bought dozens of bikes – from ‘Blades to Tigers and GSX-Rs to R1200GSs; he looks for a machine to suit his next trip. “I spend hours trawling eBay, and set up ‘saved searches’ within a 50 mile radius to alert me when a new one comes up. If I see something I’m interested in, I put a low bid on straight away, and wait to see if anybody else shows any interest. “I’ll only bid on bikes with a service history, and if there’s not enough info on the advert, I’ll drop the seller a message, or phone them. For instance, if the listing doesn’t mention that the V5’s present, I’ll always ask! “I also run an HPI check on everything to avoid unpaid finance, stolen, or written-off bikes. Occasionally a seller won’t know about an issue – I actually got a bike for half price once through this bartering tool! The key thing is to know what you’re buying, and what you’re capable of repairing. “I’ve bought bikes without viewing them, but I’m not afraid to refuse to pay for something if it’s not as described. Keeping my buying within a 50mile radius saves some fuel if a seller has wasted my time. “I’ll always look for things that have been missed off the listing, as they’re a perfect way to haggle, and I quote the repair at full dealer prices. Having a trailer helps – I always go to view a bike with all the cash in my hand, ready to do a fast deal. It’s also worth keeping an eye out for bikes that don’t sell – making contact afterwards can be a great way to save some cash on the asking price. What do you check when you see a bike? 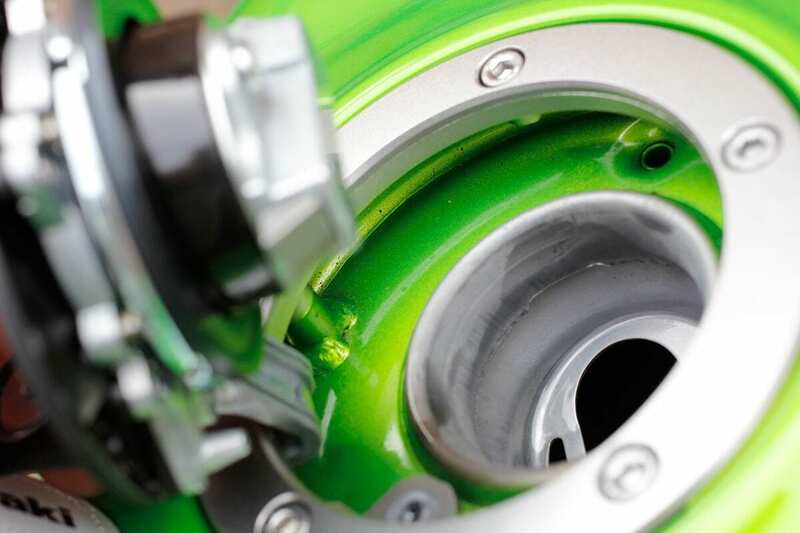 “Generally, you can tell if a bike’s honest the moment you see it – if the owner’s taken the time to polish it, and the brake fluid, coolant and oil are nice and clear, it’s more than likely a good one. I like a bike with an inch of unworn tyre at the edges – it’s a good sign it hasn’t been ridden hard, as are undamaged hero-blobs. “Look at the bottom of the fork stanchions, below the axle. People have been known to rub down and repaint them after a scrape, to hide the damage. Do they match either side? Does the shape of the casting look correct? 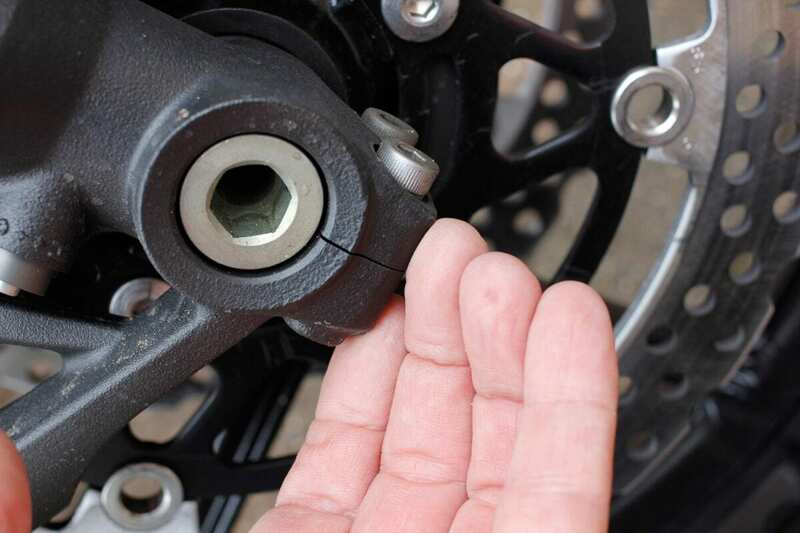 The compression adjuster – if it’s on the bottom of the fork – also gets damaged easily, so is worth checking. “Look through the fairing panels at the radiator to see if it’s straight. Try to peek everywhere you can behind the fairings for scrapes on the engine casings and frame. Another tell-tale sign of damage is new coolant pipes, or damaged jubilee clips holding them on. “On the swingarm, look for damage to the rear corners, or behind the exhaust, if it’s a low-hanging one. The clocks should be straight and secure – the mounting brackets are easily damaged. Is the ignition barrel intact, or does it look like some scally has forced a screwdriver into it? 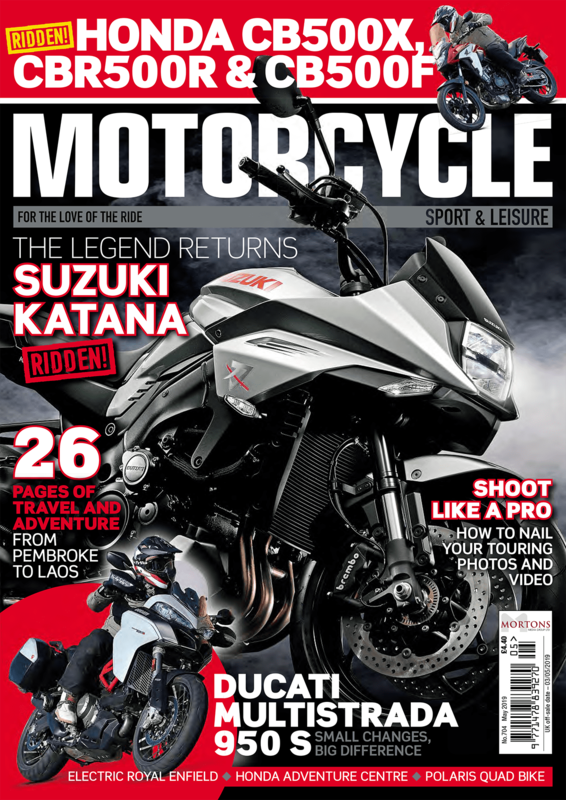 “Besides looking for evidence of lock-wiring, other possible tells of a race or track bike are well-used suspension adjusters and damage to the rims caused by excessive tyre changes. “Run your hand over the brake discs: racers use hard pads, which put grooves in the disks, and a lip on the edge. If the clocks say 3000 miles, but the discs have that kind of wear, the bike’s spent a lot of time on the track. Previous Post:Why has Arai never changed?